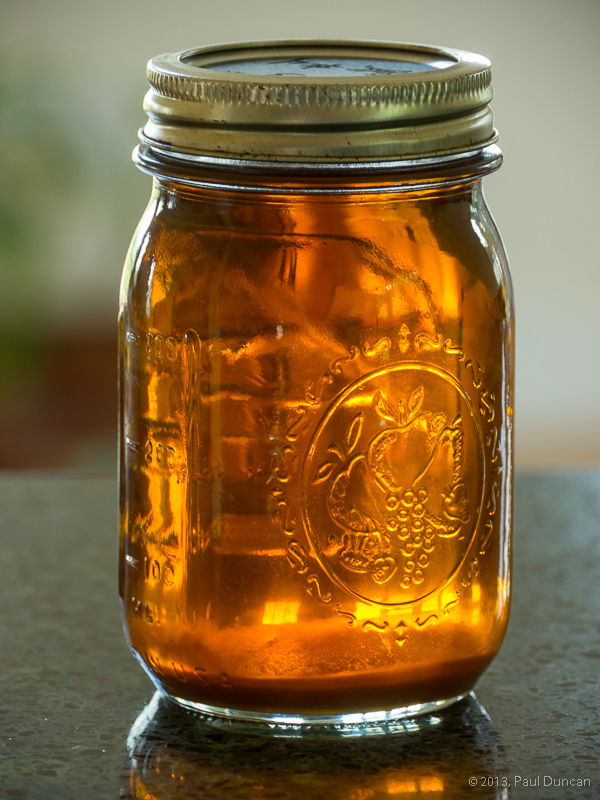 Among the many things learned by European settlers from American Indians was the making of maple syrup. The methods have been refined but the basic technique remains the same: collect sap from maple trees in the spring while sap is rising and heat to remove most of the water to leave a sweet distinctive syrup (or further distill to create maple sugar for candy). Matt, our builder, gave us a jar of the maple syrup he produced this year. Having fond memories of maple syrup production when I was a child, I was eager to sample it so I cooked up a stack of pancakes to douse in butter and maple syrup. I served them up on one of Lori’s hand-crafted church-keyed plates and dug in. The verdict? Ambrosia! You just can’t beat the real thing. When you buy “pancake syrup” or similarly-named products in the supermarket, you are getting chemically processed corn oil with flavoring additives. The experience doesn’t resemble real maple syrup. There are a few ways to get your own real maple syrup. Our method was to contract the services of Ness Construction LLC to build us a house after which Matt presented us with a jar of his handiwork. This is an expensive way to acquire pure maple syrup but you have the added benefit of a new house to enjoy it in. 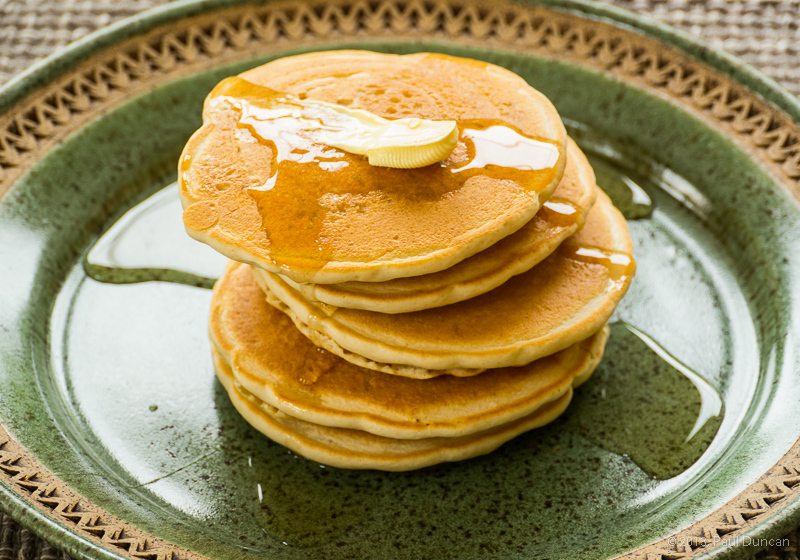 Think about it: enjoy home-cooked pancakes smothered in home-made maple syrup on one of Lori’s unique hand-thrown ceramic plates in your new custom hand-crafted home. That’s quite a nice American breakfast experience.